The winery’s 7-acre estate vineyard is located at the southern end of the Santa Lucia Highlands mountain range, at 2,000 feet elevation, a few miles from Paso Robles. Proprietors Philip Krumal and Michael Dilsaver work with winemaker Marc Goldberg and with the inspiration of Yvonne Rich. Visit www.asuncionridge.com. Beresini Vineyards (Black Dog Ranch) is a small family-owned producer of Pinot Noir in Napa Carneros. About 200 cases are produced each vintage. Both Chardonnay and Pinot Noir are grown on the property. The property is named after a Black Labrador, Vito Beresini, whose predecessors Chester and Luca watched over the vineyard before Vito. Steve Beresini began his wine career managing vineyards in Napa County, later starting at Phelps in 1977 as a cellar worker, leaving in 1981 to become assistant winemaker at Niebaum Coppola. In 1983, he became the head winemaker at Niebaum Coppola under the tutelage of Andre Tchelistcheff. He departed Coppola in 1991 to work as cellar master at Grgich Hills for 10 years, and from 2001 through 2005 worked at Garvey Vineyard Management handling vineyard operations. In 1988, Steve planted four acres of Chardonnay and two acres of Pinot Noir on his property in Carneros. In 2010, he leased an adjoining Pinot Noir vineyard that he also manages. The grapes were sold for the first 16 years to MacRostie Winery with some Chardonnay going to Staglin Family Vineyards. The Chardonnay grapes were sold to TOR from 2010 to 2015 and currently to Kenward Family Wines. A little over one acre of the Pinot Noir grapes were sold to Stomping Girl Winery through 2014. As of 2015, the three acres of Pinot Noir grapes now planted are used exclusively for the Beresini Pinot Noir. The Beresini Pinot Noir is distributed to several fine restaurants in Napa, Sacramento and Walnut Creek and sold on the website at www.beresinivineyards.com. The Dierberg family has owned the historically significant Hermannhof Vineyards in Missouri since 1974. After a decade searching for the perfect spot to establish a wine estate that could grow classic varieties, they chose Santa Barbaras Happy Canyon region in 1996. 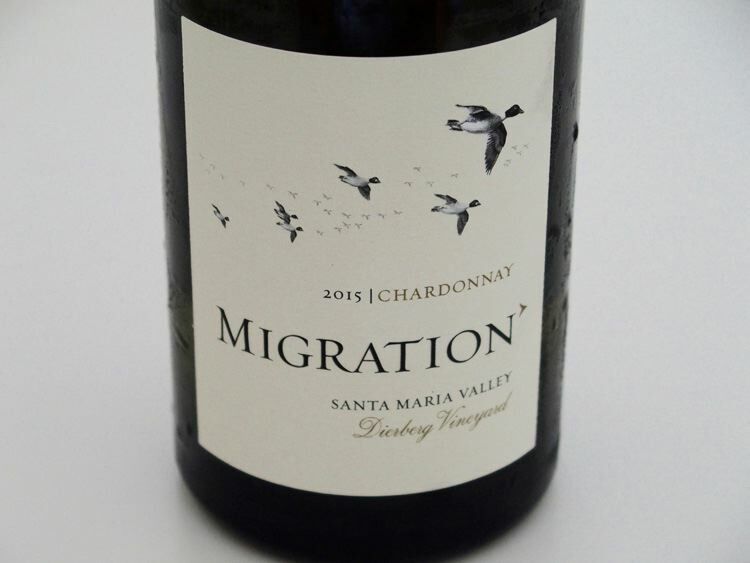 Under the Dierberg label, they also grow Chardonnay and Pinot Noir in the Santa Maria Valley and Sta. Rita Hills AVAs. The Dierbergs acquired their first cool climate vineyard in 1996, located at the western edge of the Santa Maria Valley AVA just 13 miles from the Pacific Ocean. Dierberg Vineyard is a 160-acre property planted to 12 heritage clones of Pinot Noir and Wente selections of Chardonnay. In 2003, the Drum Canyon Vineyard in the Sta. Rita Hills was planted to 70 acres of Chardonnay and Pinot Noir grapes. The wines from the Dierberg properties have never been highly touted until winemaker Tyler Thomas joined Dierberg in 2013. Tyler has a master’s degree in Viticulture and Enology from University of California at Davis, and previously worked at North Coast wineries Donelan Family Wines and Hyde de Villaine. His affinity for the Central Coast began long before joining Dierberg and Star Lane Vineyards. His first full-time harvest internship was at Fiddlehead Cellars in Lompoc in 2003, but his choice to return came only after several meetings with the Dierberg family. Tyler is a firm believer in making vineyard-focused wines, with minimal signs of winemaking technique. He has a strong anti-house style approach, choosing to pursue wines with a sense of freshness rather than targeting an ideal fruit, alcohol or acid profile. 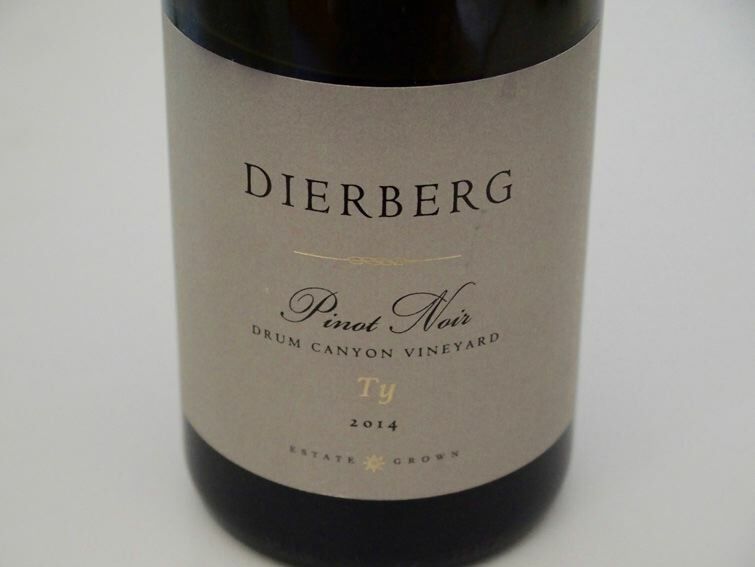 Once Tyler was on board, I immediately noticed a trend away from density and rusticity to an increase in balance, vibrancy and enjoyability of the Dierberg Vineyard Pinot Noirs and Chardonnays. Honestly, these wines are now stunning. Dierberg Vineyard produces a Chardonnay, Pinot Noir and Syrah from the Dierberg Vineyard as well as Chardonnay and Pinot Noir from Drum Canyon Vineyard. The wines are distributed nationally in 40+ states and are available from the tasting room in the Sta. Rita Hills. The Three Saints value label is being discontinued. Visit www.dierbergvineyard.com. 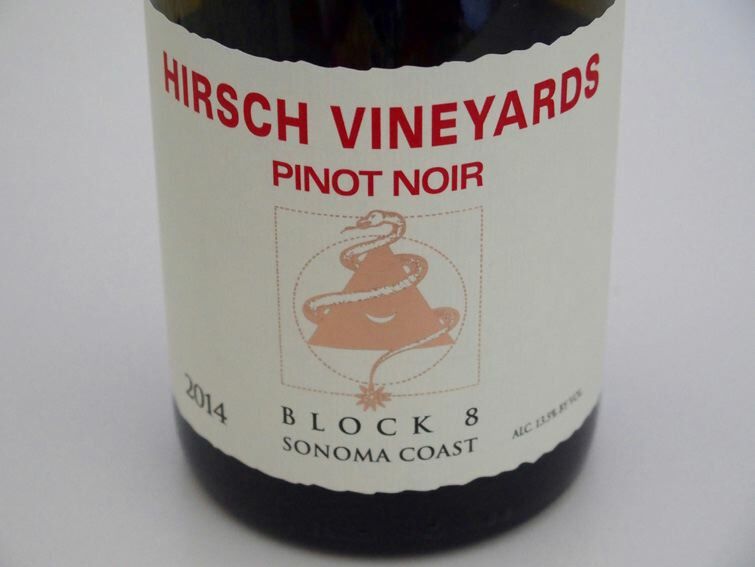 The 2014 Pinot Noirs are refined and flavorful with perfumed aromatics and supple textures. Stem inclusion was increased in 2014 to add textural refinement and improve age ability. The following wines were tasted with Tyler and then re-tasted the following day. This winery is a very ambitious project established in 1994 by TJ Rodgers, founder and retired CEO of Cypress Semiconductor, and his spouse, Valeta. The vineyards are exposed to extreme growing conditions and highaltitude terrain. The significant highlights of Clos de la Tech are meticulous vine-by-vine farming, high-density planting (4,150 vines per acre), low yields, and innovative viticulture equipment (the vineyards are so steep they have to be farmed with a specially-designed tractor moved by cables. Vinification is done in an underground, gravity-flow winery, employing whole cluster fermentations with native yeast, extended cold soaks, foot crushing, malolactic fermentation on the lees, gravity transfer, and no filtration of the wines. Barrel aging is carried out in caves tunneled deep into a ridge. The five wines produced are aged in Francois Frères barrels with a significant percentage of new oak. 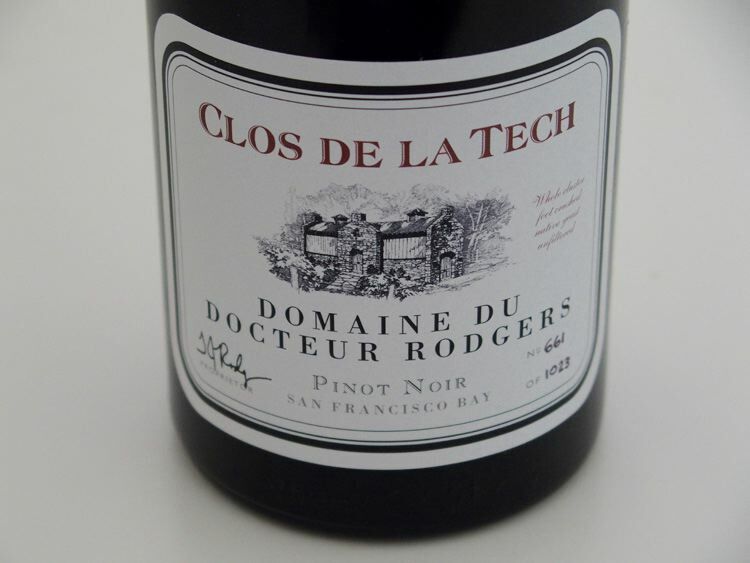 The Pinot Noirs come from three estate vineyards: Domaine du Docteur Rodgers, Domaine Valeta and Domaine Lois Louise. 2012 was the first vintage produced entirely at the new, underground winery. 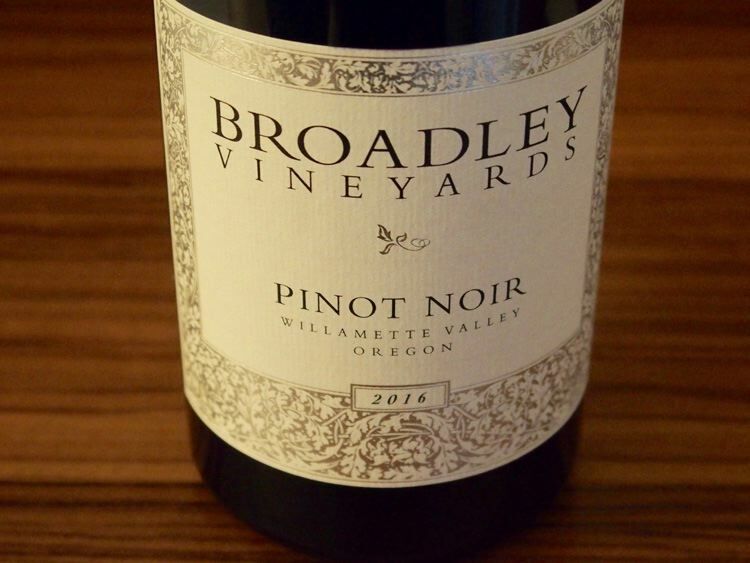 The wines have received considerable praise and high praise from the wine press, and the winery is one of the featured ones at this year’s International Pinot Noir Celebration. Uniquely, each bottle other than the Santa Cruz Mountains Estates blend features a chip on the neck of the bottle. The chip is code named Juno, designed by Cypress Conductor’s design center in Japan. These wines will appeal to a segment of pinotphiles who understand the style. The wines certainly will be liked by those who relish seductively ripe, lush fruit and substantial structure. I found them a challenge to taste due to the tannins. The wines have a gorgeous fruit core, but lack charm and elegance. They can be likened to a slightly tough steak - flavorful but tough to chew. 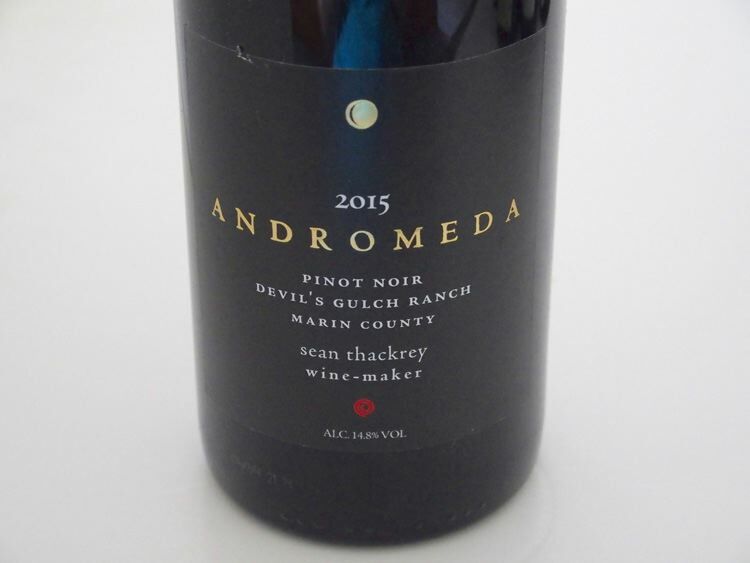 Normally a high percentage of whole cluster adds aromatic and textural interest to the wines, but I did not find those characteristics in these Pinot Noirs. The high levels of tannins are still present nearly five years after harvest, suggesting the wines may never be in balance. I tasted the wines a day after opening and four days after opening and found no significant change in perceived tannins. The wines are sold through a mailing list at www.closdelatech.com. 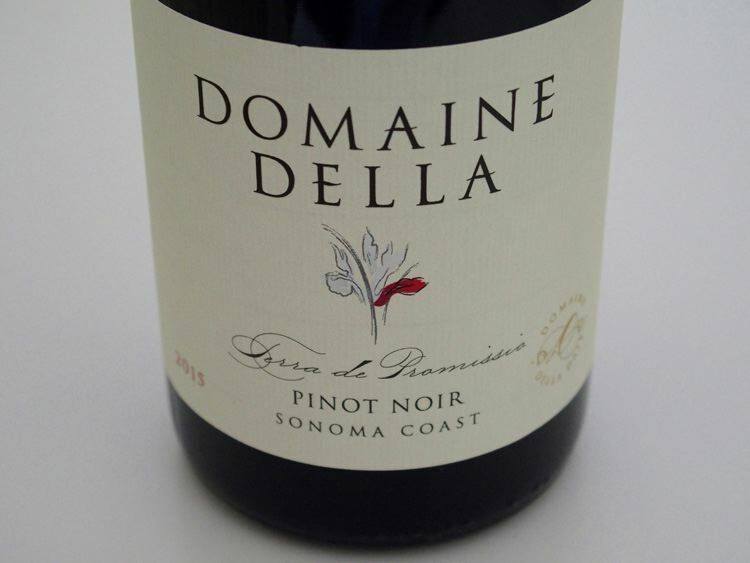 The wines are produced and bottled by Domaine Della Dale, Santa Rosa, CA.. The website is www.domainedella.com. Winemaker David W. Hejl joined his sister and brother-in-law, Lee and Ernie LeRoy to found this winery in 2010. The name, Domaine Della, honors their mother, Della Winifred Dale. Heijl spent time at Kosta Browne Winery and you see that influence in the style of the wines. 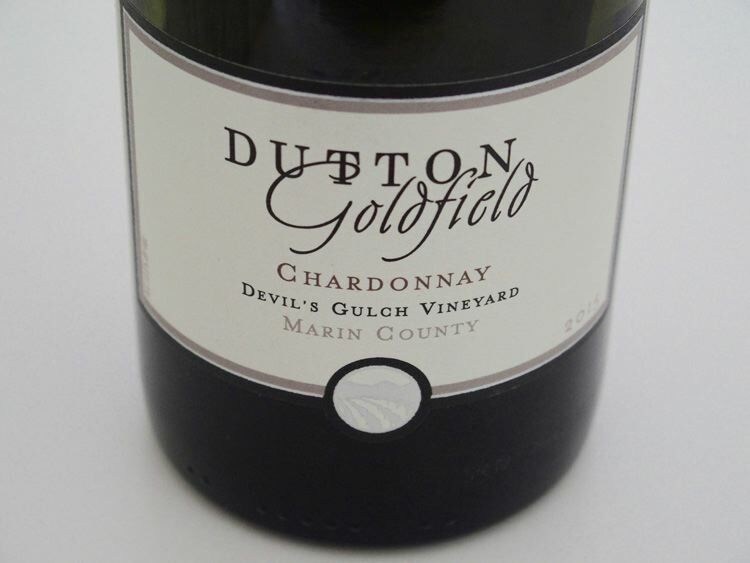 All wines reviewed here were produced and bottled by Fogline Vineyards, Fulton, CA. All wines reviewed here were grown, produced and bottled by Hirsch Vineyards, Cazedero, CA.. The wines show the imprint of noted winemaker Ross Cobb. Several of these wines need time to rouse themselves. 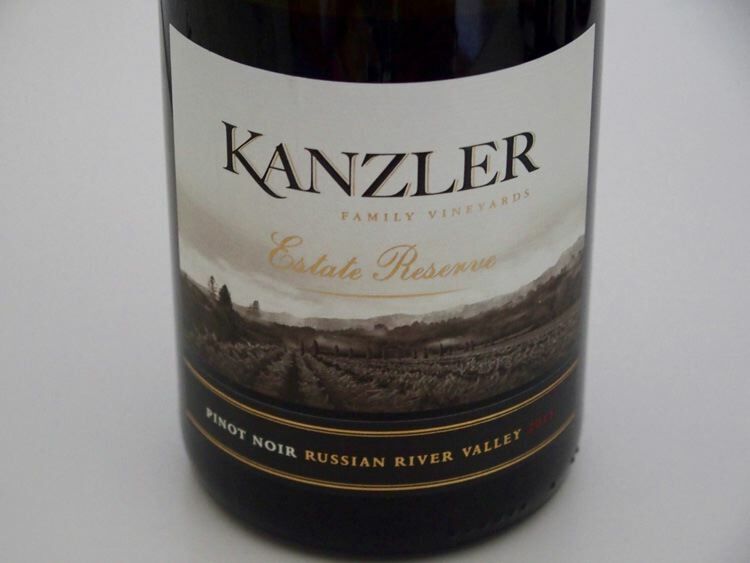 Kanzler Family Vineyards was established in 1996 in the Sebastopol Hills sub region of the Russian River Valley at the site of a former apple orchard. The first harvest from the 14.5-acre vineyard was 2000 and early on grapes were sold to Landmark Vineyards, Flowers Vineyards 7 Winery, Gary Farrell Vineyards & Winery, Kosta Browne, Rhys Vineyards and CL Wines. Currently, they hold back more of the grapes for their own label, but still sell to Kosta Browne, Lynmar and Rivers-Marie. The Kanzler family leases the Walker Station Vineyard, 3.2 acres of Pinot Noir and Chardonnay located in a cool area southwest of Forestville. Alex Kanzler was 10-years-old when the vineyard was first planted. He followed a winemaking career ofter college in New Zealand, Oregon and back to Sonoma County. He assisted with winemaking at Kanzler beginning in 2011, and became the head winemaker in 2014. A Rose and Chardonnay were introduced with the 2016 and 2015 vintages respectively. 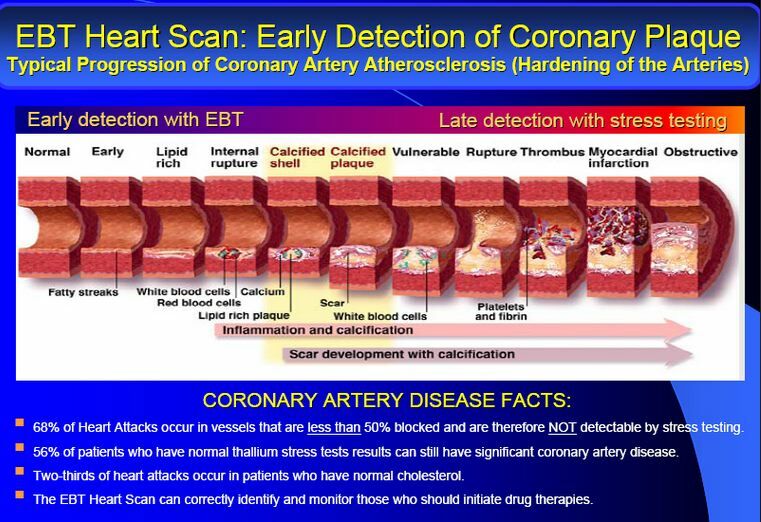 Current production is 3,500 to 5,000 cases. All wines reviewed here were produced and bottled by Kanzler Family Vineyards, Sebastopol, CA.. Kanzler Vineyards was recently featured in the PinotFile: www.princeofpinot.com/article/1954/. The wines are sold primarily through a mailing list. Lucienne is a winery within a winery - an estate producer of Pinot Noir and Chardonnay within Hahn Estates. Owned by Nicholas Lucien Hahn, this winery is based in a separate facility. The name is from Nicholas Hahn’s middle name Lucien, but in the feminine form to honor the mountain range where the winery’s vineyards are planted. Santa Lucia was a saint who wore a crown of candles on her head and that crown is depicted on the Lucienne label. 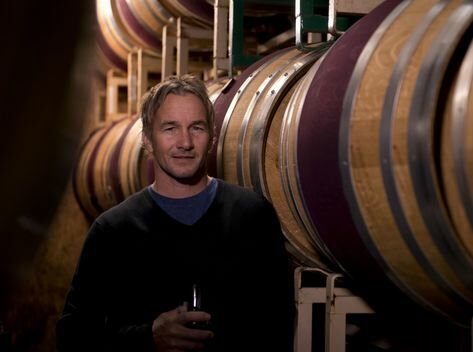 Paul Clifton, who gained his cool climate winemaking stripes at Bernardus Winery and Byington Winery, began at Hahn Estates in 2003 and soon became the Director of Winemaking. 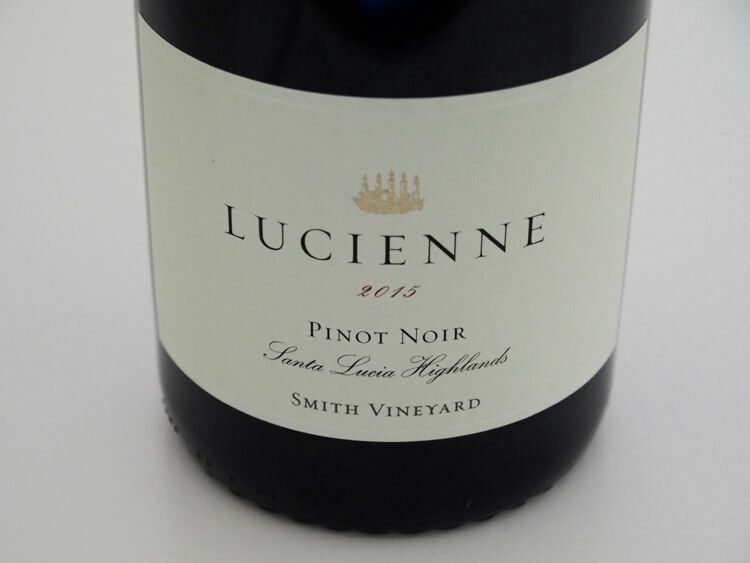 The 2015 Lucienne Pinot Noirs show impressive balance, polished textures and the right amount of oak to temper the eager fruit. The wines are still young and with superb balance should develop further over time in bottle (all the wines tasted better hours after opening and the following day). These are the best group of Pinot Noirs I have tasted from Lucienne to date. Visit www.luciennevineyards.com. One Hahn Family Wines Pinot Noir bottling is included here as well. All wines are produced and bottled by Hahn Estates or Lucienne Vineyards, Soledad, CA. from certified sustainable vineyards. The Twin Hills Ranch in Sebastopol was established in 1942-1947 by Darrel Hurst who planted mostly Gravenstein apples. 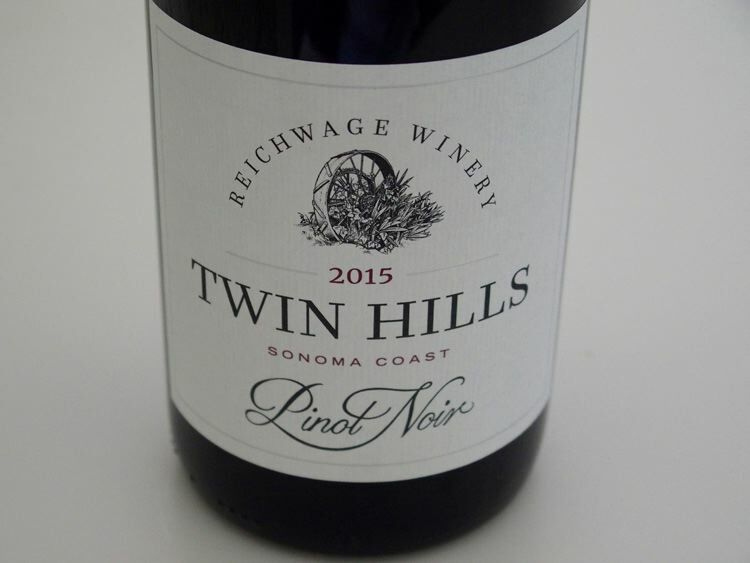 The name, “Twin Hills,” refers to the two main ridges that run through the Sebastopol Hills sub region, Pleasant Hill and Spring Hill (aka Sexton Hill). During WW II, Twin Hill Ranch supplied dried apples to the troops. In 1998, Darrel Hurst passed away and his son, Ben Hurst, inherited the Twin Hills property. The following year, the first vineyard parcels at Twin Hills were planted to clone 777 and Swan selection Pinot Noir, and the grapes were sold to W.H. Smith Winery of Napa and Chasseur Wines of Sebastopol. In 2005, the expansion of the Russian River Valley AVA south incorporated the Twin Hills Vineyard and the surrounding Sebastopol Hills area into the AVA. In 2006, the Twin Hills property was divided in half with the southern portion sold to David Bruce Winery in Los Gatos. An additional 4 acres of clone ‘828” were planted by Arturo Robledo. Ben Hurst sold the Twin Hills property to the Palk family of Sebastopol in 2010. In 2014, the Reichwage family acquired the Twin Hills property from the Palks. At the time of purchase, the property had dilapidated buildings and serious amounts of junk scattered about. Beneath the clutter, Max saw a hilltop property with ideal soils for grape growing and untapped potential. Max has farmed the orchards and vineyards with organic materials only. The 8 acres of apple orchards were USDA certified organic in 2016 and the vineyards will likely be certified soon as well. The property is now 20 acres, with 5 acres of established, dry-farmed Pinot Noir plantings and 4 acres of newer 2015 plantings including four clones of heirloom Pinot Noir and a .25 acre of Gamay Noir. The vines are planted in Goldridge sandy loam at an elevation of 350-400 feet. Only 9 miles from the Pacific Ocean, the chilly microclimate is influenced by maritime cold air and fog. Max Reichwage established the Reichwage Winery in 2014. The three wines reviewed here are Reichwage Winery’s inaugural releases from the Twin Hills Vineyard. Visit www.reichwage.com to purchase wine. Chappellet acquired Sonoma-Loeb in 2011, but Chappellet winemaker Phillip Corallo-Titus had made the Sonoma-Loeb wines since 1990. Chappellet’s renowned vineyard manager, Dave Pirio, was added to the Sonoma-Loeb team. Phillip and Dave have worked together for more than a quarter of a century. Together, they added new vineyards and vineyard blocks to the winegrowing program and switched many of Sonoma- Loeb’s contracts to acreage contracts allowing more control. 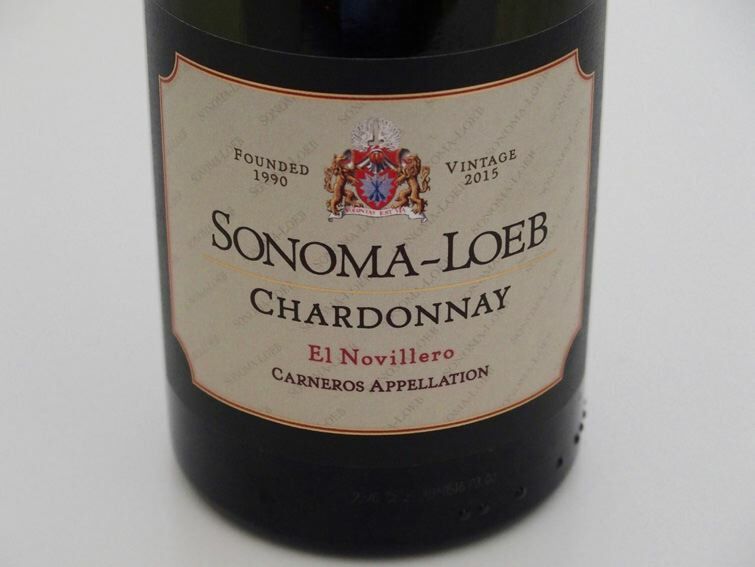 This allowed the addition of new small-lot wines to the Sonoma-Loeb portfolio. Phillip made subtle winemaking changes as well, including picking a little earlier to preserve more natural acidity and achieving slightly lower alcohol levels in the wines. He reduced oxidative techniques such as lees stirring and prolonged malolactic fermentation. A new barrel chai was finished in 2013, and barrel fermentations now take place at very low temperatures. Philip says, “We reevaluated everything to see if we could make the wines even more vibrant and delicious and applying the same dedicated focus on quality that had always defined Chappellet. I believe the Chardonnays have been taken to another level (see the reviews later in this issue). The two Pinot Noir examples reviewed here show very ripe fruit picked at high Brix, with dense fruit extraction, and Visit the winery website at www.sonoma-loeb.com. These 2015 vintage Pinot Noirs and Chardonnays represent winemaker Bob Cabral’s first releases (Cabral had a 17-year tenure as winemaker for Williams Selyem before joining Three Sticks). Additional fall releases from estate vineyards include a Gap’s Crown Vineyard Chardonnay ($55), a Gap’s Crown Vineyard Pinot Noir ($70), a Walala Vineyard Pinot Noir ($70) and the first of the winery’s Cuvée series - the 2015 Cuvée Eva Marie Pinot Noir from One Sky Vineyard on Sonoma Mountain ($90). The wines are allocated to a mailing list. 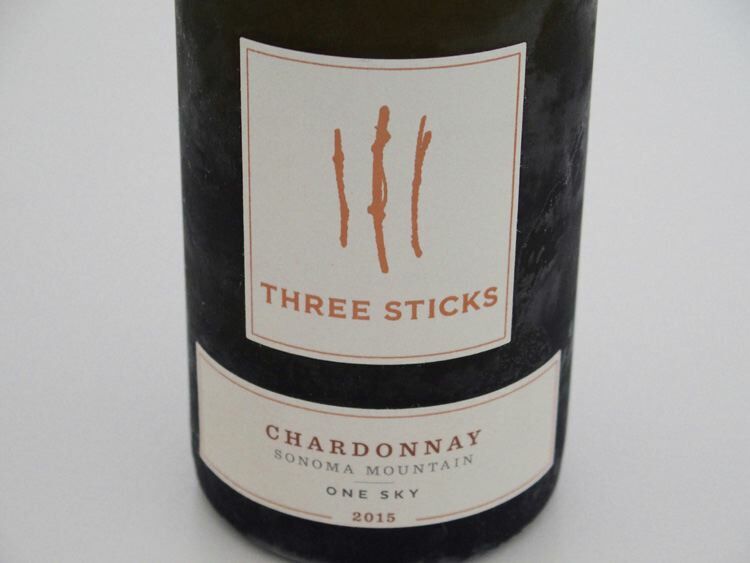 The winery has partnered with El Dorado Kitchen and introduced new food and wine pairing experiences at Three Sticks at The Adobe in downtown Sonoma. A private luncheon ($200 per guest) and small bites pairing experience ($85 per guest) are offered Monday through Saturday for groups of two to eight by reservation. Traditional wine tasting is also offered throughout the week by appointment, starting at $35 per person. Three Sticks at The Adobe is one of Sonoma’s oldest and longest occupied residences and remains one of the last standing buildings from California’s Mexican Period. Its transformation into the Three Sticks tasting room was directed by noted San Francisco designer Ken Fulk. Visit www.threestickswines.com. 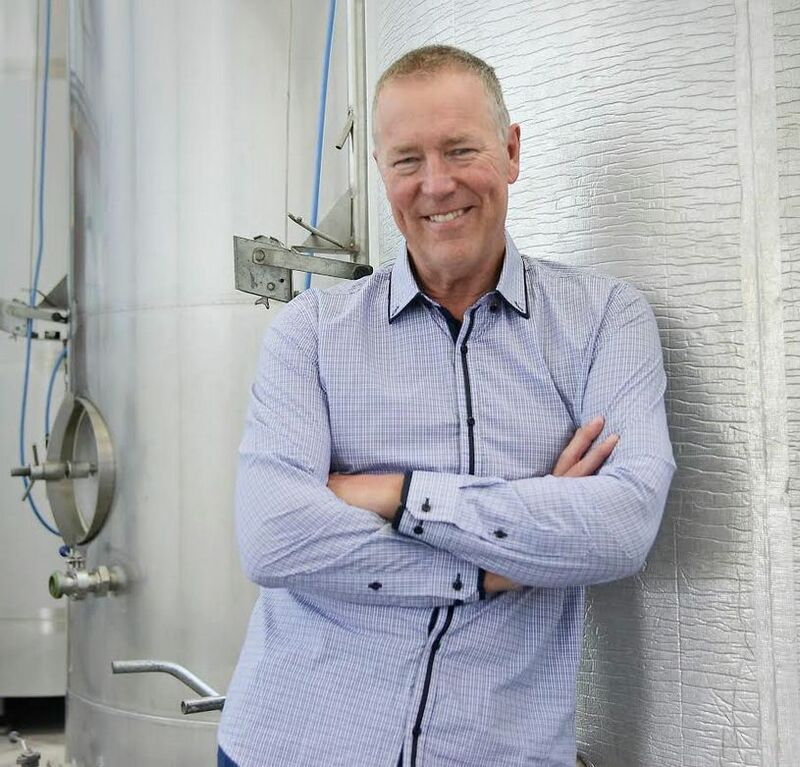 Established at Martinborough in 1988 by founder and winemaker, Roger Parkinson (pictured below), Nga Waka is a family owned winegrower producing small amounts of Martinborough wine from estate grown grapes. The name is from Nga Waka A Kupe (The Canoes of Kupe). There are three hills that lie side by side like upturned canoes form the backdrop for the town of Martinborough. Legend has it that the hills were formed by the three canoes of the Polynesian explorer Kupe that were carried inland by an earthquake and came to rest in the valley behind Martinborough. 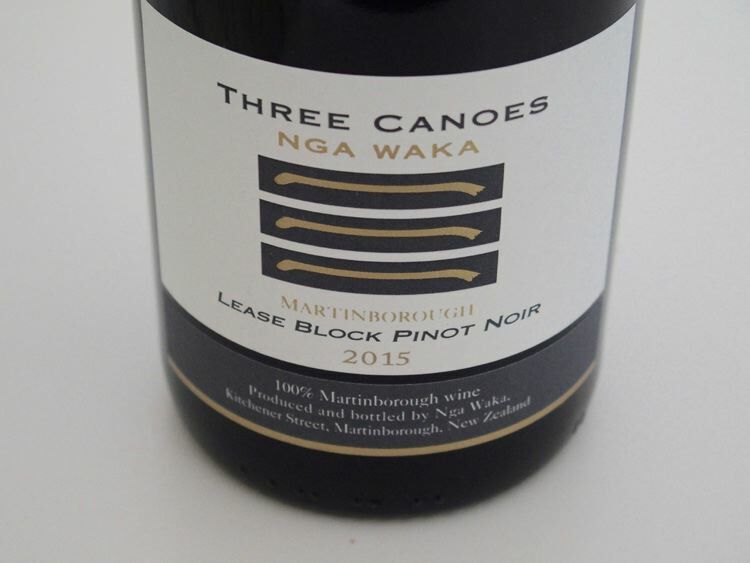 The Three Canoes and Three Paddles wines have recently become available in the United States through Canoe Wine Imports, Sebastopol, CA, and are worth seeking out. Visit www.ngawaka.co.nz. 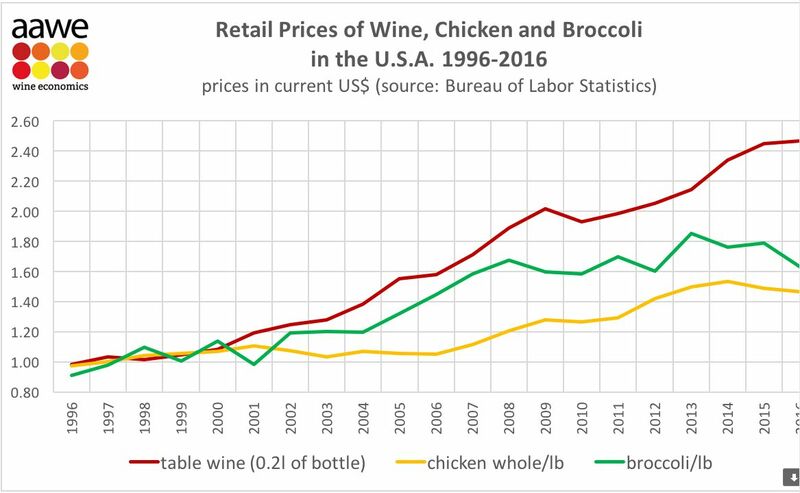 California wine prices continue to rise along with the increasing overall quality. 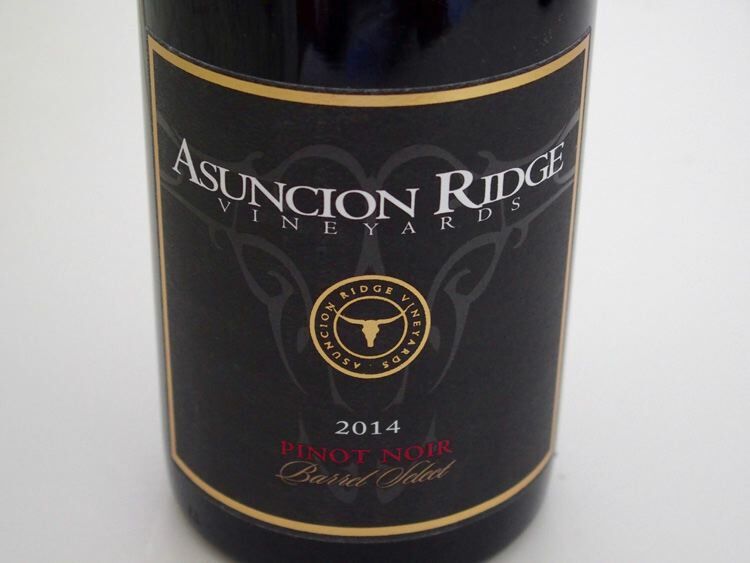 High double digit and even triple digit prices for domestic Pinot Noir are no longer a rarity. A winery in Oregon, Alit, exposes the cost to make a bottle of Pinot Noir. Proprietor Mark Tarlov is selling his wines direct to consumer at a relatively lower price, offering a transparent look at what exactly a bottle of good Pinot Noir costs to produce. Alit Pinot Noir price is not based on scores or scarcity, but is sold at what the winery costs to make the wine, plus a small profit for the winery. The winery claims its wine would cost 3X as much if priced and sold in the traditional way. The 2015 alit Pinot Noir is sold only online in 3-packs with 3-day air shipping anywhere in the U.S. included at www.alit.wine. A Rosé and Brut Champagne are also offered. For the 2015 alit Willamette Valley Pinot Noir, grapes were sourced from dry-farmed vines grown in volcanic soils. The wine was fermented with wild yeasts with 100% whole cluster, with no additives and aged 12 months in French oak barrels. The vintage is not displayed on the wine’s labels. 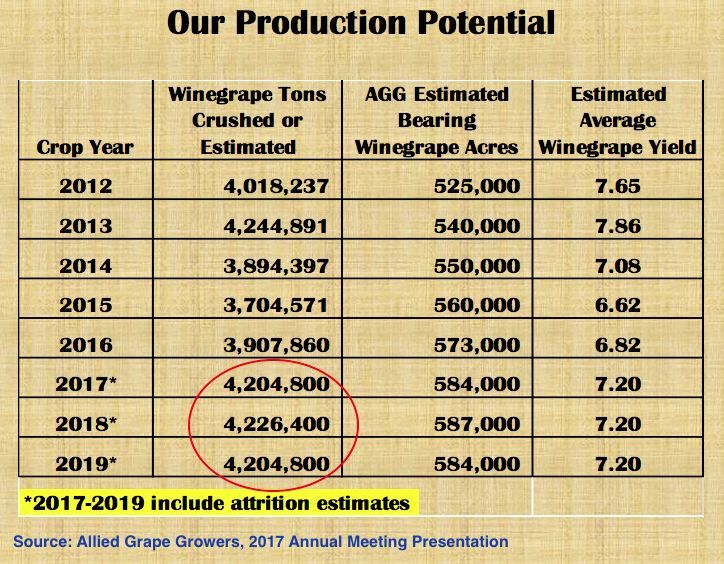 The breakdown of production costs per bottle: (1) all-natural farming and fruit - $5.66, (2) Alit’s winegrowing and winemaking team of five - $2.14, (3) winery and equipment - $3.31, (4) French oak barrels - $1.11, and (5) recyclable packaging - $2.88. Total cost - $15.10. 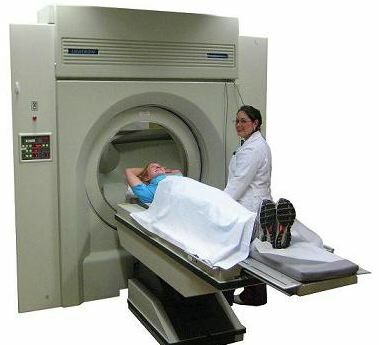 Gross profit (45%) - $12.35. Final cost $27.45 plus S&H. 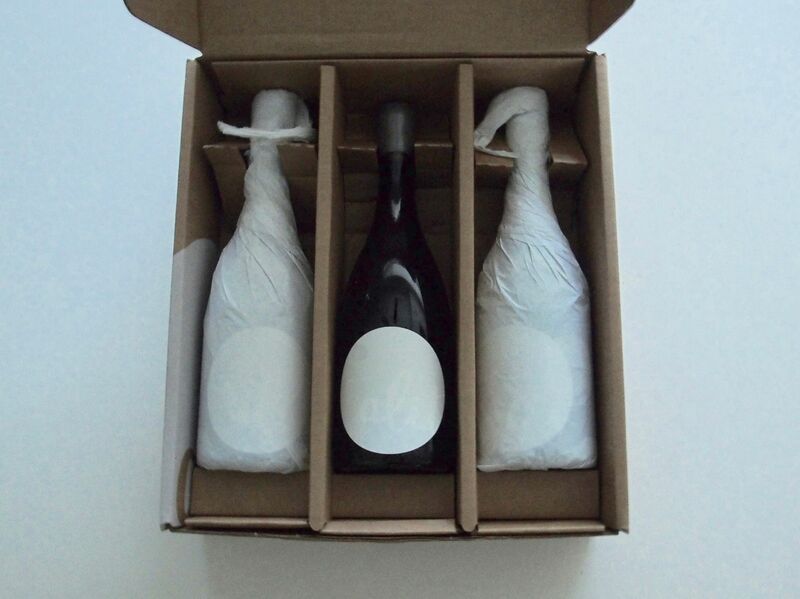 The packaging is very impressive with three bottles wrapped in paper in their own embossed box. Each bottle is rather heavy and closed with wax. I don’t have technical information. A few other value priced Oregon Pinot Noirs from Ransom Wines & Spirits are reviewed here. Ransom has been producing small lots of Oregon wines since the 1999 vintage. Vintner Tad Seestedt is the one-man operation behind the label. The name, Ransom, was chosen to reflect the debt incurred to start the business. The wines are in retail distribution. One more wine to consider and recommended. Winemaker Scott Rich and I have a friendship that goes back over ten years. His father was a physician and this has meant a commonality that we have embraced. 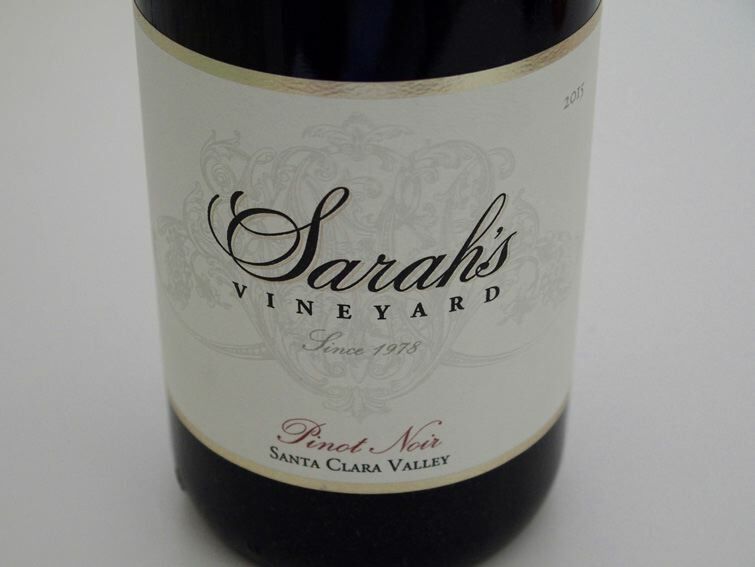 I have always been intrigued with his Pinot Noirs since my first extensive encounter with them in 2006 when I experienced wines dating back to 1997. Since then, we have touched bases at many Pinot Noir events, but until recently I had never sat down for an afternoon with him at his winery and really got to know him and his wines. Scott learned his craft as a research enologist for both RH Phillips and Robert Mondavi Winery and later under Tony Soter at Etude in Carneros. He made the wines and oversaw the construction of a winery at Moraga Vineyards in Bel Air in Southern California. As with many winemakers, his desire for self expression led him to start his small label with his spouse, Marta Rich, in 1992. Scott currently makes his wines in a tiny warehouse facility on Eighth Street in Sonoma with an office and war room above where we met to taste. Talisman is a word for a charm and the Talisman logo on the label is a stylized medicine wheel, a representation of the paho, a Native American charm that has been imbued with the power to protect one from harm. The paho has the circle of the life and the four directions that show one’s place in the universe. The rays around the edge represent the sun that gives energy for life on earth (and allows wine grapes to ripen). The name and logo was given to Scott by his Native American mother and is a tribute to her. Scott’s vineyard sources are truly unique for he is a lover of distinctive, challenging terroir. He says, “I like to express terroir - that is the beauty of Pinot Noir - and that comes through in the more extreme vineyards.” Current production of vineyard-designated Pinot Noir is about 5,000 cases annually. 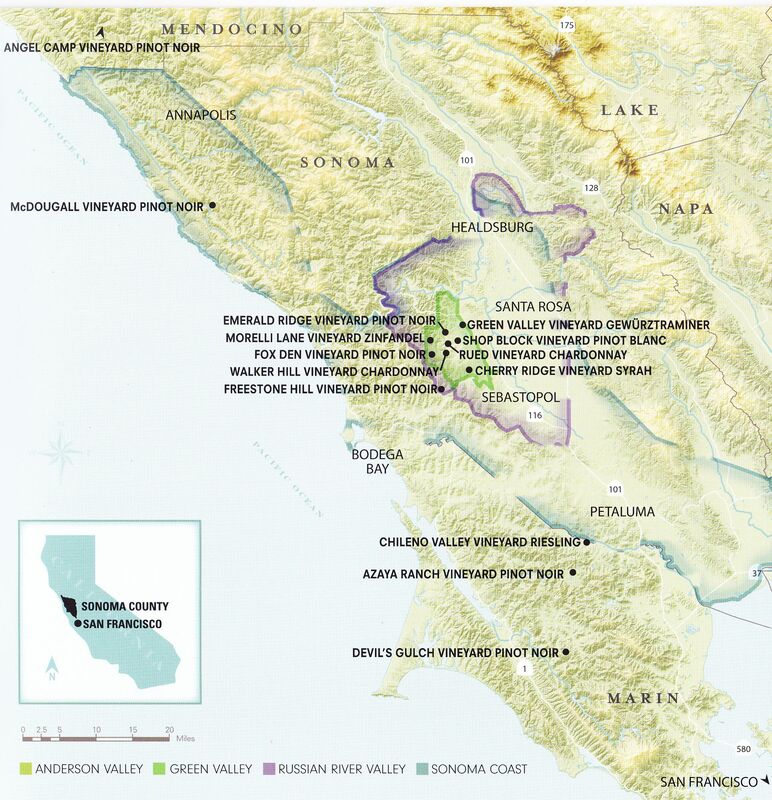 Vineyards range throughout Sonoma County as well as Yorkville Highlands, and Napa Valley. I had the opportunity to take the opened wines home with me and re-taste the 2014 vintage Pinot Noirs in my usual fashion four days after opening. My reviews reflect both impressions upon opening the bottles and retasting four days later. Random choice of older wines. Grapes sourced primarily from Truchard Vineyard. · Slight orange tinge in the glass. Aromas of orange peel, crusty bread and pickling spices. Still some black cherry fruit but it is dried out and fades rather quickly in the glass. The tannins have disappeared. Drink up. Grapes sourced from Madonna Vineyard and Mueller-Mckenzie Vineyard. · Yellow-brown caste in the glass. Aromas of marzipan and eucalyptus. Faded fruit trying to give its best, with a spice and leather accent, finishing with some grip. Drink up. Talisman wines are sold online at www.talismanwine.com. 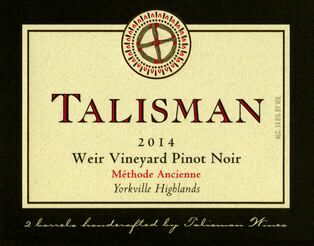 The Talisman tasting room is located at 13651 Arnold Drive in Glen Ellen where a personal comparative Pinot Noir tasting experience is offered. I read with great interest the provocative article by Remington Norman in Issue 56, 2017, of The World of Fine Wine, titled, “What Defines Grand Vin?” More specifically, I was interested in his comments that spew venom on many Old and New World wines that aspire to be great wines. Norman doesn’t appear to think that New World wines are deserving of the accolade “grand vin.” He points out that most vineyards contain young vines (less than 20-25 years old) and as a result produce wines “dominated by varietal character rather than any other second-order qualities including site character.” New World producers have an eagerness for professed site-specific wines “when there is little evidence of real qualitative difference.” I agree that this is true for the majority of domestic Pinot Noirs, although I have had enough examples of certain vineyards to be able to pick up site-specific qualities in the absence of senescent vines. There are wines reviewed in the PinotFile that do offer dense extraction, ultra ripeness and high alcohol, and significant oak overlay. Oak should never stand out, even in a young wine. I am concerned that some of these heavily oaked wines will reach maturity with unyielding tannins. Some of these wines also reflect Norman’s quip, “These are wines from everywhere yet wines from nowhere”. I have checked, and many of these wines have received scores in the 90s in the popular trade publications indicating they are considered extraordinary or even ‘great,’ despite the fact that the wines have a lip burn at finish due to high alcohol, and/or a fruit compote character that seems out of place in Pinot Noir. Every Pinot Noir seems to get a score in the 90s these days with score inflation both a reality and a notoriety opioid for reviewers. Norman admits that grand vin is beyond precise verbal definition, but lists a number of building blocks: (1) Balance, (2) Elegance/finesse/delicacy/subtlety/refinement, (3) Class/style/sophistication, (4) Concentration - depth of fruit not over extraction, (5) Complexity, (6) Length - length, particularly in mid palate, is a signal indicator of a great wine, (7) Persistence - desirable flavors or traits last on the finish, (8) Texture, (9) Freshness, (10) Power - a core of natural energy upon which high alcohol and over extraction have no bearing, (11) Weight - seamless integration of a wine’s elements across palate gives impression of weightlessness, (12) Understatement, and (13) Age ability - truly great wines develop nuance over time rather than just enduring. Perhaps we shouldn’t waste time trying to conclude which wines are “great,” or which style is the most preferable, and decide which wines gives us the most pleasure. Norman is spot on correct when he states, “What is beyond argument is that grand vin is not defined by style.” Wines that may be stylistically considered unworthy of “grand vin” designation by some authoritarians may yet have features that offer joie de vivre and greatness in the eye of the beholder. On the other hand, a wine can be great even if the drinker doesn’t like it.